e owe it to ourselves, our ancestors, and our future generations to preserve—and share—the full American story. Sometimes preserving that story means working through a difficult past to create a more inclusive future. Sometimes it means amplifying the voices of those who historically have been silenced. No matter the approach, we believe every American should be able to see themselves, their history, and their potential in both our collective story and our national landscape. 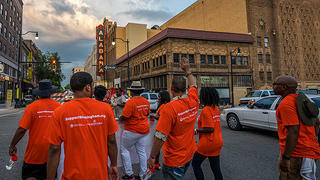 To encourage this growing movement, the National Trust and its partners are working to raise $25 million to create and invest in the African American Cultural Heritage Action Fund—the largest preservation campaign ever undertaken on behalf of African American history. Our mission: to draw attention to the remarkable stories that evoke centuries of African American activism and achievement, and to tell our nation’s full history. Indeed, the stories and places of African American culture and heritage have always existed, but too often have not been fully acknowledged for the integral role they play in the fabric of American society. We are committed to crafting a narrative that expands our view of history and, ultimately, begins to reconstruct our national identity, while inspiring a new generation of activists to advocate for our diverse historic places. Pledge your support to this important preservation campaign and our work to protect and restore places where significant African American history happened. Learn more about the historic travel guide to Jim Crow America and the many places that mark this important chapter in our nation's history. 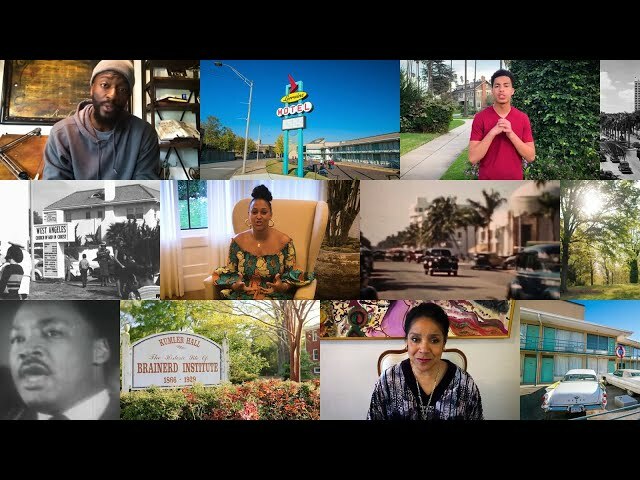 In the Action Fund's inaugural year, we awarded 16 grants, totaling more than $1 million, to preservation organizations across the country, with funding going to support the preservation of sites and stories of black history. These grants covered work in communities from Birmingham to the South Side of Chicago, including sites of struggle and strength. We also used the Action Fund to provide grants to African American historic sites and empower youth through Hands-On Preservation Experience (HOPE Crew). At our National Trust Historic Sites, we modeled innovative approaches to interpreting and preserving African American cultural heritage. And through it all, we worked on the ground with communities and cities to protect significant historic places and elevate their stories through our National Treasures program. In the coming year, we will continue work on key preservation efforts, including conducting research exploring the impact that preservation has on contemporary urban issues that disproportionately affect communities of color—equity, displacement, and affordability. 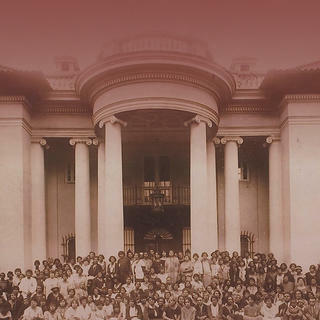 Additionally, support for Historically Black Colleges and Universities (HBCUs) will continue, from celebrating their history to advocating for the reauthorization of the HBCU Historic Preservation Program, which ensures that their histories and legacies are preserved. Support the Action Fund today. The Action Fund marks a major step forward in how we save and sustain historic African American places. We invite you to join us. 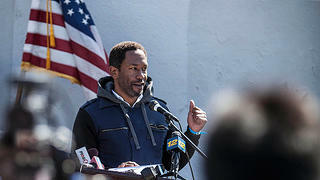 African American Cultural Heritage Action Fund executive director Brent Leggs speaking at an event at Hinchliffe Stadium. 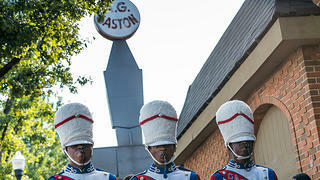 A marching band stands in front of the A.G. Gaston Hotel in Alabama for the 2016 March for Birmingham, sponsored by the City of Birmingham and National Trust. Undated historic photo of children at a Rosenwald School. 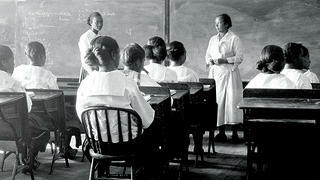 Rosenwald Schools (a National Treasure of the National Trust) are considered one of the most important initiatives to advance black education in the early 20th century. 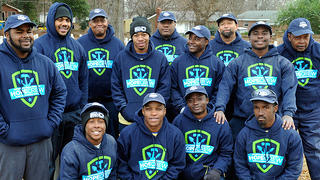 HOPE Crew corpsmembers receive training in preservation skills and on-the-ground experience at restoration projects like this one in Raleigh, North Carolina. Meridian Hill Park in Washington, D.C., received a grant of $50,000 to repair its concrete grotto in 2013. 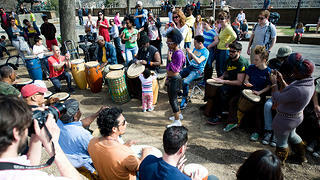 It holds many community events, including this weekly drum circle. 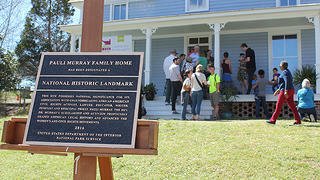 Also a National Treasure, the childhood home of Pauli Murray—African American member of the LGBTQ community, civil rights and women’s rights activist, author, lawyer, priest, and Episcopal saint—will be rehabilitated as the Pauli Murray Center for History and Social Justice.